The CMS on Tuesday said it will toss two bundled-payment models and cut down the number of providers required to participate in a third, citing providers' requests to have more input in the models' designs. The agency slashed the number of mandatory geographic areas participating in the Comprehensive Care for Joint Replacement, or CJR, model from 67 to 34, it announced in a proposed rulemaking Tuesday. Comments are due Oct. 17. The agency is also proposing to exclude low-volume hospitals, or those with fewer than 20 joint replacements over three years, in the remaining mandatory areas starting in February 2018. However, the CMS will allow the newly excluded providers to voluntarily participate in the model if they so choose. Rural hospitals in the remaining mandatory markets also have the choice to participate. Up to 470 hospitals are expected to continue to operate under the model. That number includes CMS' estimate that 60 to 80 hospitals would choose to voluntarily participate. That total number is down from the 800 acute-care hospitals that would have participated under the program had no change been made. With so many hospitals getting an out, the CMS estimates the model will save $90 million less over the next three years versus what it would have saved had no changes been made. The model is now expected to save $204 million over those years instead of $294 million. The rule comes as the CMS is considering allowing hip and knee replacement surgeries to take place at ambulatory surgical centers. When the proposal was released last month, some questioned if it was an attempt to undermine the CJR model. The CMS' proposed rule also plans to cancel the Episode Payment Models and the Cardiac Rehabilitation incentive payment model, which were scheduled to begin on Jan. 1, 2018. Eliminating these models would give the CMS greater flexibility to design and test innovations that will improve quality and care coordination across the inpatient and post-acute-care spectrum. These cardiac pay models were estimated to save Medicare $159 million collectively over five years. The CMS did consider altering the design of these models to allow for voluntary participation, but since that would potentially involve restructuring the model, payment methodologies, financial arrangement provisions and quality measures, it did not believe that such alterations would offer providers enough time to prepare for such changes, given the planned Jan. 1, 2018 start date. "Stakeholders have asked for more input on the design of these models. These changes make this possible and give CMS maximum flexibility to test other episode-based models that will bring about innovation and provide better care for Medicare beneficiaries," CMS Administrator Seema Verma said in a statement. The American College of Cardiology said the proposed rule motivates them to help clinicians find other ways to pursue value-based care. "As we move from volume-based care to value-based care, the path forward is challenging and we must work together to find solutions," Dr. Mary Norine Walsh, ACC president, said in a statement. Others said they appreciated the move. "CMS made the right move to pull back the cardiac care episode payment models," said Dr. Bruce Siegel, president and CEO of America's Essential Hospitals. "Providers selected for the CJR demonstration are only just now adapting to these new payment and delivery approaches and need more time before facing another demonstration and the potential for mandatory participation in two models simultaneously." Moving forward, the CMS expects to increase opportunities for providers to participate in voluntary initiatives rather than large mandatory episode payment model efforts. The changes in the proposed rule would allow the agency to engage providers in future voluntary efforts, including additional voluntary episode-based payment models. Dr. Kate Goodrich, chief medical officer at the CMS, hinted at a bundled-pay summit in June that the CMS would pivot focus to voluntary models. She told Modern Healthcare at the event that the CMS is aware of arguments that no real progress can be made in bettering quality and cost trends in Medicare without mandatory models, but said it's also seen evidence that well-designed voluntary models also drive participation. 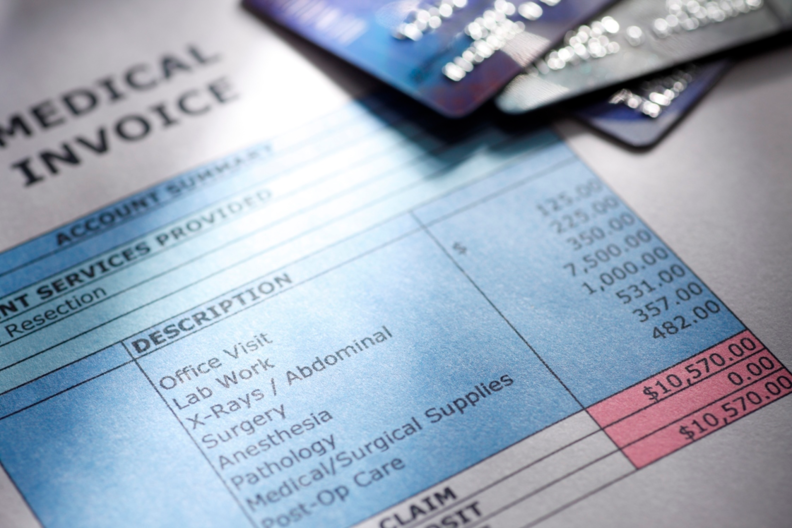 For instance, last year the agency estimated that more than 125,000 clinicians would participate in advanced alternative payment models under MACRA for the 2018 performance year. Now, it's estimating anywhere from 180,000 to 245,000 clinicians will do so. The CMS says that's because more doctors will be participating in ACOs, the Primary Care Plus model and other new pay models. The cancellations come just a few days after Dr. Patrick Conway, director of the CMS' Center for Medicare and Medicaid Innovation, announced he was leaving the agency. He had been a proponent for mandatory models, believing they were a strong tool to ensure Medicare savings.